While surfing the Internet or reading an article pertaining to website design we often come across some facts and statistics in the article. What do the website statistics really mean and how is it going to affect your business? These are the common questions that would pop up in your mind to start with. However the most important question is the source of these statistics. There are many websites with statistics but it is necessary to make sure that these statistics are coming from a genuine source. This article is all about helping the organization willing to develop or launch their new website and also those willing to opt for as simple web presence as we are well into the second half of 2015. Microsoft search share in December 2014 was 19.7% and in January 2015 was 19.7% as well. Yahoo search share in December 2014 was 11.8% and in January 2015 was 13%. The search engine popularity is important from the SEO perspective of your website. 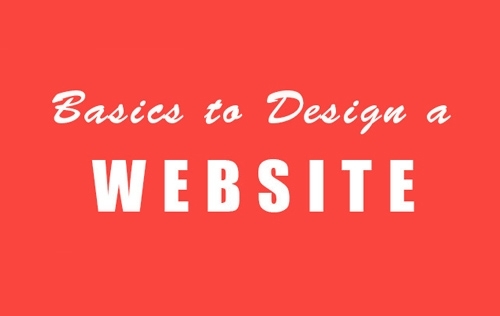 You may develop a website and it can be really fancy and functional. However what if no one knows about it or no one can find it.? A good search engine ranking is vital and making sure you are targeting the popular search engines also counts. The statistics collected ‘Econsultancy’ truly state that 47% of the people surfing online expect a website page to load in under 2 seconds. As per the statistics collected by statistic.com the number of mobile Internet users are on the rise. In fact the year 2015 has witnessed the mobile Internet users far exceed users from other platforms. While the Mobile Internet users registered in early 2015 shows a massive rise at 788.32 Million. The Internet users are in general very impatient and expect a website to simply work once they put in the URL or click on a link. Hence the statistics about the average visitor not waiting a long time for a website to load is quite true. Consider a scenario where a Internet user is searching for product online in the search engine Google. Once Google displays the result it is common for the average user to open at least the first three links on the search result in their respective tabs. In this case if yours is the website that is taking a very long time to load the user will simply not look at it and move on to one of the other links. Besides which if your website is taking substantially long to load then even Google will penalize it by reducing the page rank. The statistics collected from ‘Kinesis inc.’ clearly show that how once the page loads the user will form an opinion about the website in .05 seconds. The number of mobile users is now very high and one the rise hence your website matters. The population has increased as so has the number of Internet users. The number mobile users has increase. The average visitor to your website is not a critique. However each visitor will have an opinion it is usually formed on the first glance of your website. This is the reason the first page of the website is so important. The first page should tell all there is to know about a website from the topic to type of products or services or the kind of information that it bares as relevant to the website in question. There is a thin line between a good, fancy and functional website and the other that disgusts the average visitor. The analysis of the top one hundred websites revealed that only 11.8% of them were responsive. This too is a valid and authentic statistic from Akamai. Mobile Internet users are on the rise. More number of user visiting websites using their mobile devices. There has also been an increase shift towards picking mobile apps over mobile websites. The statistics are quite clear. More number people using their mobile devices to access the internet. However it is also true that more number of organizations now prefer Mobile apps to mobile websites. This makes it possible for them to develop a website that is not responsive and optimized for the desktop (a better website). A well known source, ‘Hubspot’ rightly states that Content Marketing has the ability to generate three times more leads then any traditional outbound marketing technique and at the same time it costs 62% lesser too. Content Marketing is one of the more effective techniques for a better page rank. With a lot of the other techniques having a low threshold to getting blacklisted, content marketing seems more attractive. It is essential to have a website that is optimized for the search engine. To be truly competitive it is essential to have a good search engine page rank. Content Marketing is a good way to earn this rank and also publish useful content. It is a good idea to publish good quality content that will be useful to the readers since even with content there is the danger of being blacklisted. Alakmalak Technologies is a website design and development company that has been around since a long time. They have had the good opportunity of dealing with more than 600 small and medium size business over the years from over 25 countries is a good testament to their quality and commitment. In fact they have developed more than 2000 websites over the years, a feat that not many web development firms can relate too. These statistics of Alakmalak Technologies coupled with the fact that they have been continuously expanding paints a clear picture of whom to turn to with your web development requirements. With Alakmalak Technologies you will always be in safe hands.